The GLEE Community Garden - Key West operates is under the umbrella of Green Living & Energy Education (GLEE) which is a registered 501(c)(3) tax-exempt, not for profit organization. The garden can accept tax-deductible donations by operating under the 501(c)(3) umbrella of GLEE’s Healthy Living Committee. 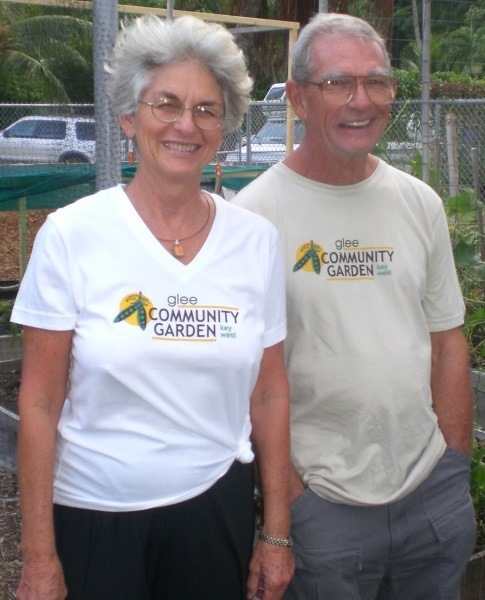 Your donation will go directly towards improvements in the garden that maintain the garden Mission, yearly hosting of this website, the hosting of public workshops at the garden, as well as support for other community garden projects in the Keys. Since 2008 the garden has provided hundreds of pounds of organic food for over 40 families, has demonstrated resource conservation by collecting and recycling & reusing tens of thousands of gallons of rainwater and other materials, and has rescued tons of organic "waste" from the incinerator through composting. Help us continue! 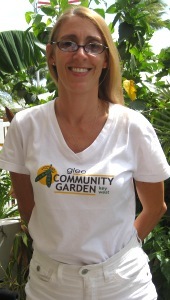 Donations of $35 will receive 1 GLEE Garden T-shirt (see below). Donations of $50 will receive 2 GLEE Garden T-shirts of your choice (His & Hers or matching).